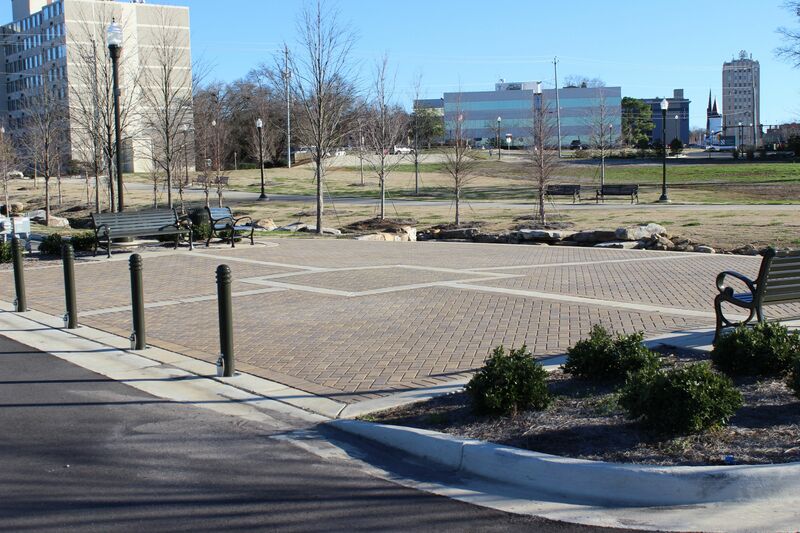 Streetscapes – Heavy Highway contractor Huntsville AL | Miller and Miller, Inc.
Miller & Miller Inc. and its subcontractors were able to partner with the City of Huntsville in its efforts to repair and revitalize the historic downtown courthouse square. 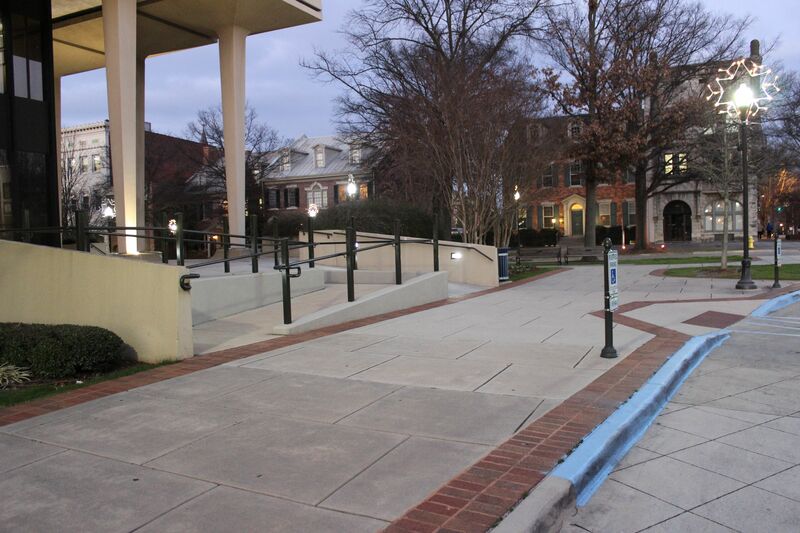 Improvements to the courthouse square was the first of three projects to help promote the development of the downtown arts and entertainment district. 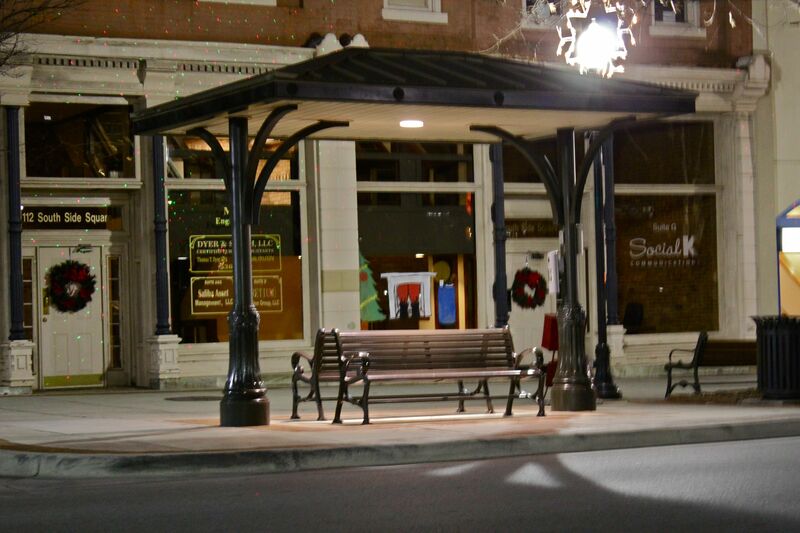 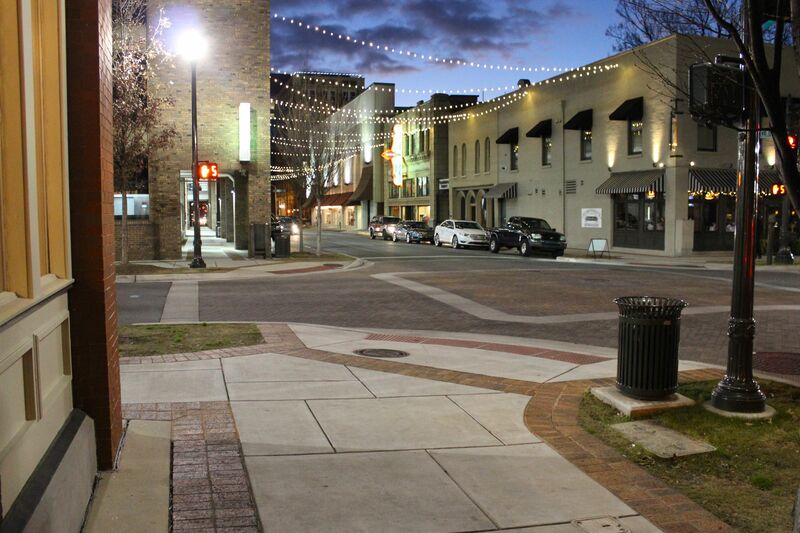 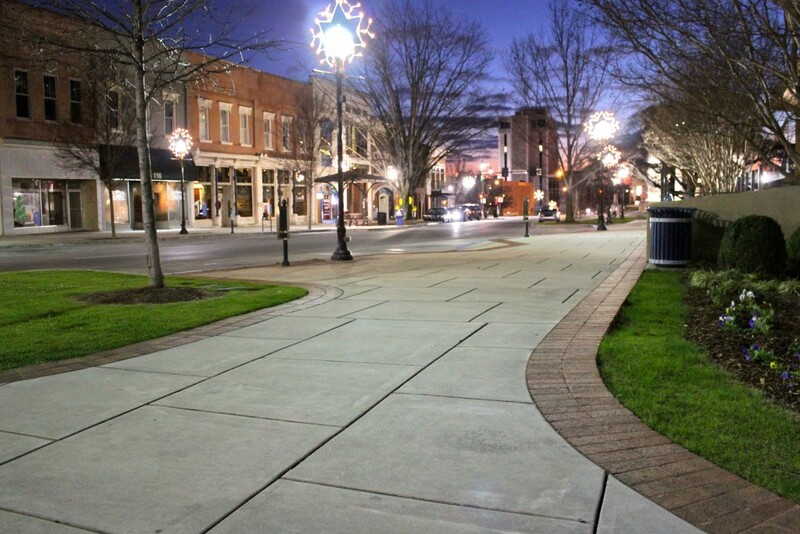 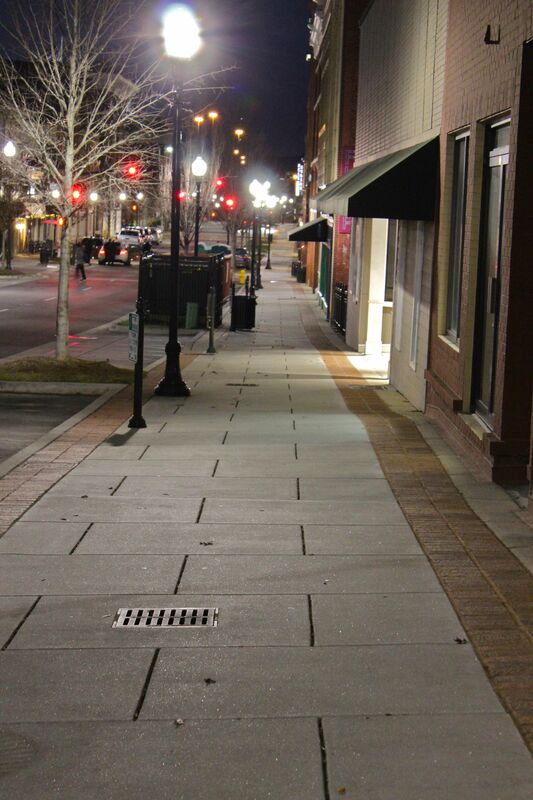 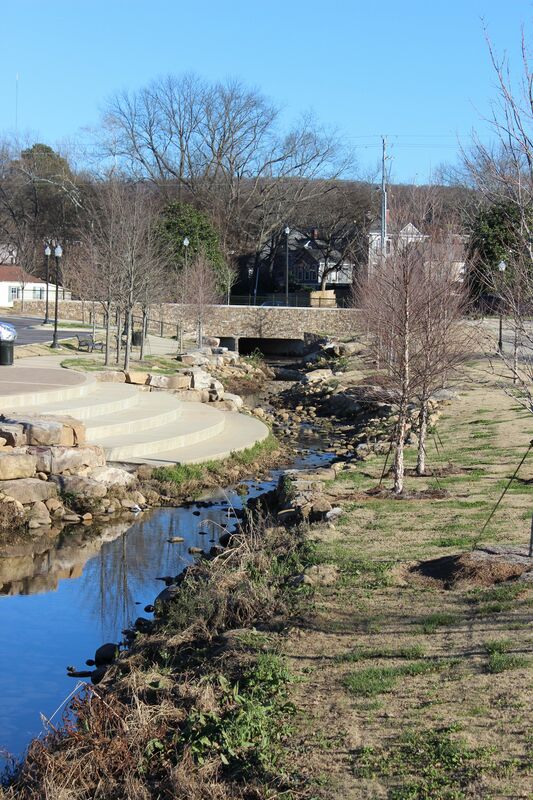 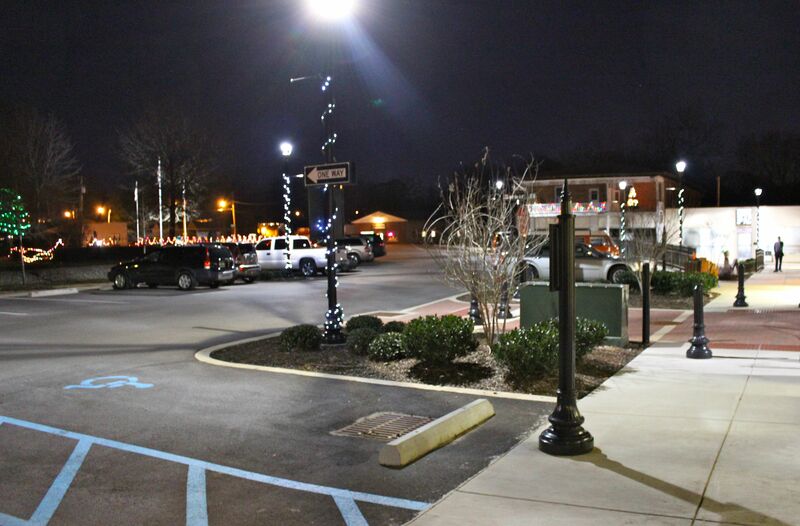 Miller & Miller Inc. and its subcontractors were able to completely overhaul Main Street and Wise Street in historic downtown Madison, Alabama. 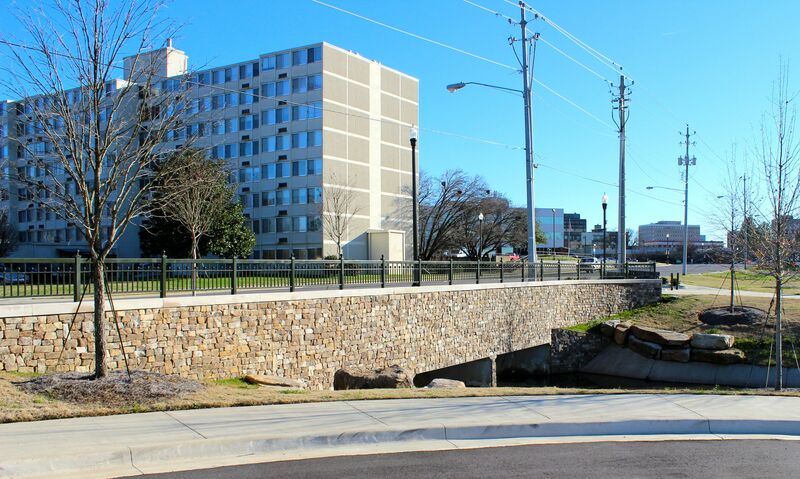 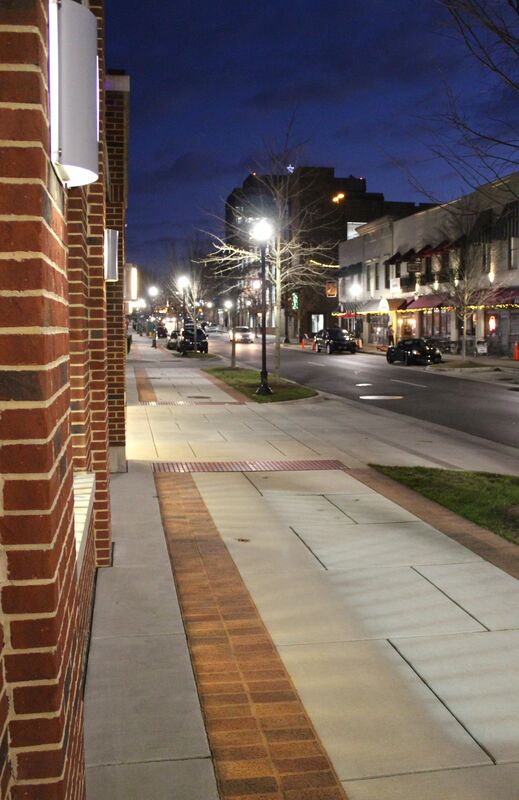 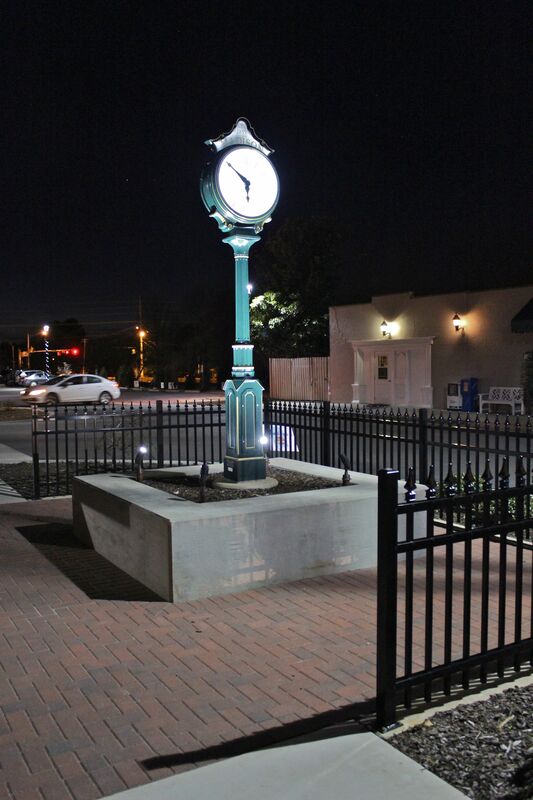 This project consisted of the replacement of all facets of the utility infrastructure, as well as numerous beautification elements including landscaping, concrete sidewalks, and brick pavers. 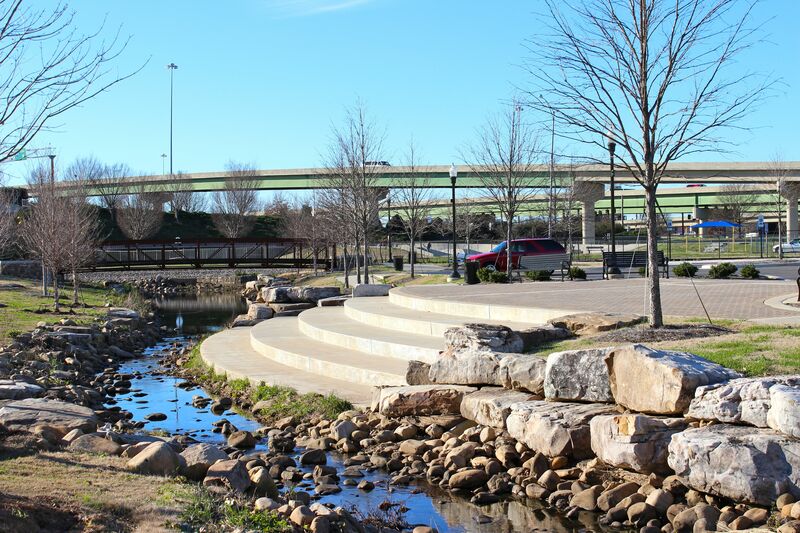 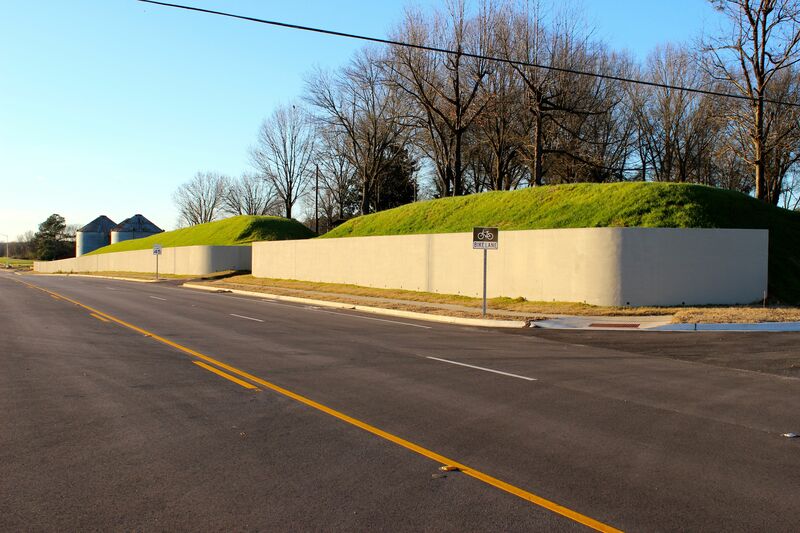 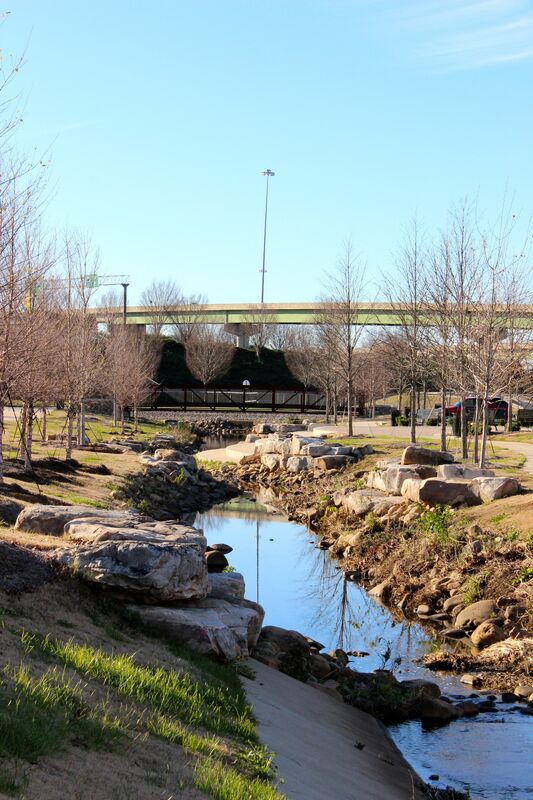 Miller & Miller Inc. and its subcontractors were able to completely transform a once unsightly drainage ditch, and provide value and beautification to the community. 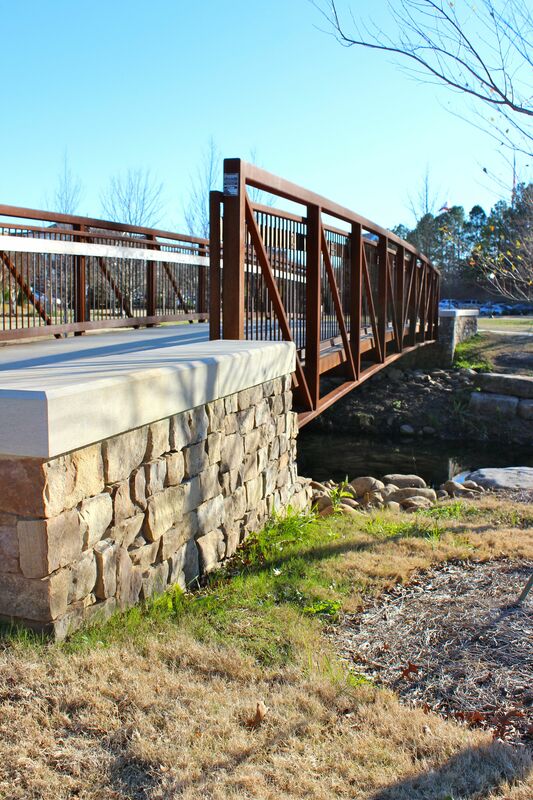 Miller & Miller was also able to provide project cost savings through a Value Engineering proposal to redesign the pedestrian bridge foundation.